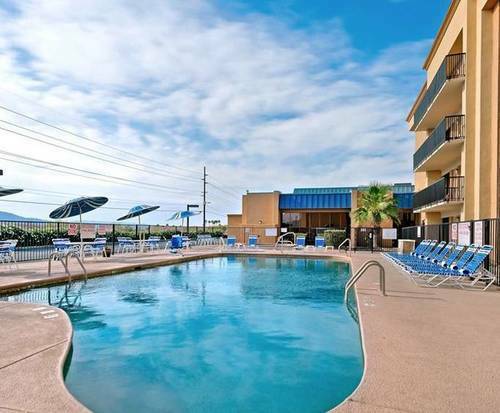 The Hampton Inn Lake Havasu City is located close to the Lake Havasu State Park, which offers an array of outdoor recreation including boating and fishing. This hotel boasts world-class leisure facilities such as lagoon-style pool and oval spa tub. Additionally, you can exercise on aerobic machines in a climate-controlled gym that is open daily. A complimentary breakfast with bakery-style items will get you off to an energetic start in the morning. 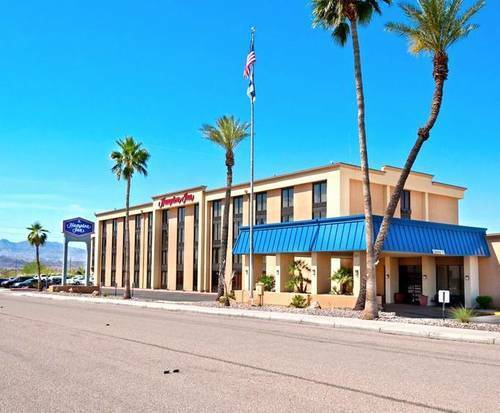 The Hampton Inn Lake Havasu City is just a short drive away from the Lake Havasu City Airport. Surrounded by palm trees, the Hampton Inn Lake Havasu City has the ambiance of a true oasis in the heart of Arizona's desert landscape. You can also refresh in the resort-like heated pool and then dip into the whirlpool that has an elliptical basin. After soaking in water, you may lay down on loungers and look up on palm trees and the sunny skies. The Hampton Inn Lake Havasu City provides more than 2,000 square feet of floor space for meetings. The Bridgeroom could accommodate up to 200 guests in large banquets and galas. The London Room and Tower Room are great for small business meetings. 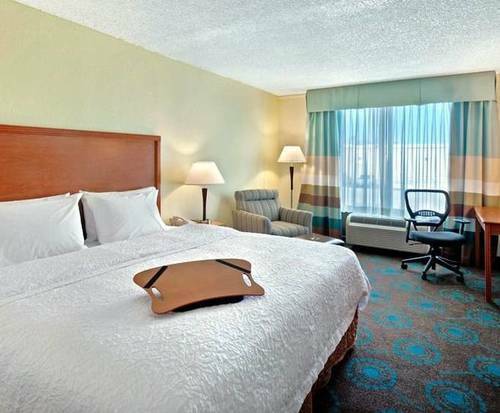 The Hampton Inn Lake Havasu City offers premium technology amenities in all 162 guest rooms. You can watch popular cable shows on a flat-screen HDTV and then browse the internet via a free wireless connection. Mini fridges are also available in suites to keep your drinks cool during an extended stay in hot Arizona. The Hampton Inn Lake Havasu City is within two miles of dozens of stores along the busy Arizona State Route 95 including the Shops at Lake Havasu.